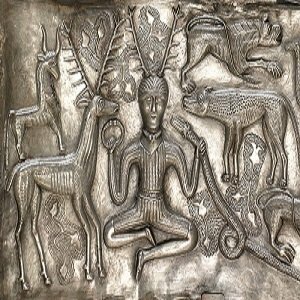 The Brainwave Entrainment Audio contained herein will allow you to reach an altered state of consciousness in which you will commune with the great mysterious Celtic God Cernunnos. He is one of the most mysterious and unknowable Gods in all of spiritual traditions. What is known is that he is a God of wealth, fertility, animals and of the underworld of the dead. Often people call upon him for wealth and for wisdom of the spirit realms. He is very powerful and this audio will help you tap into his power.